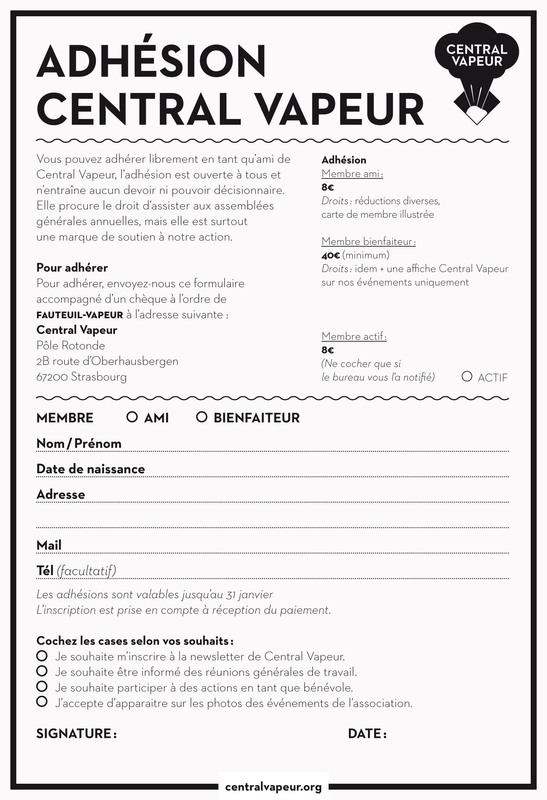 Subscribe and support Central Vapeur, silk-screen printed cards are offered in bonus and they are made by Adrien Parlange, Marie Mirgaine and Pierre Faedi. 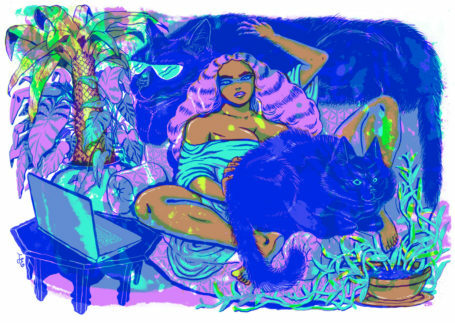 In 2012, Violaine Leroy signed the first card for subscribers (sold out) in silk-screen printing. In 2013, Laurent Moreau and Sylvain-Moizie were the authors. Their cards are only accessible to new members on a direct subscription during the festival or the events or at Pôle Rotonde since their special size makes the shipping as risky as expensive. 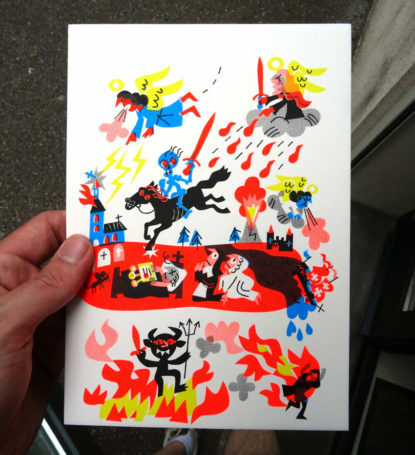 In 2014 follow Charline Colette (sold out) and Pierre Faedi (2 colors) with cards in A5 size, easy to ship. Printed by Pierre Faedi. In 2016: Adrien Parlange and Marie Mirgaine, 2 colors, cards in A5 size. The membership fees as friend (8€). The membership fees as benefactor (40€ minimum) gives the right to a free silk-screen printed poster. Directly on the festival or the events or at Pôle Rotonde only. Upon presentation of your valid membership card.